Designed to go everywhere, Handycam® Camcorders with Flash Memory Memory Stick storage are light compact and offer a range of features to capture prized memories and the spontaneous things that happen on life’s journey with the detail and clarity they deserve. 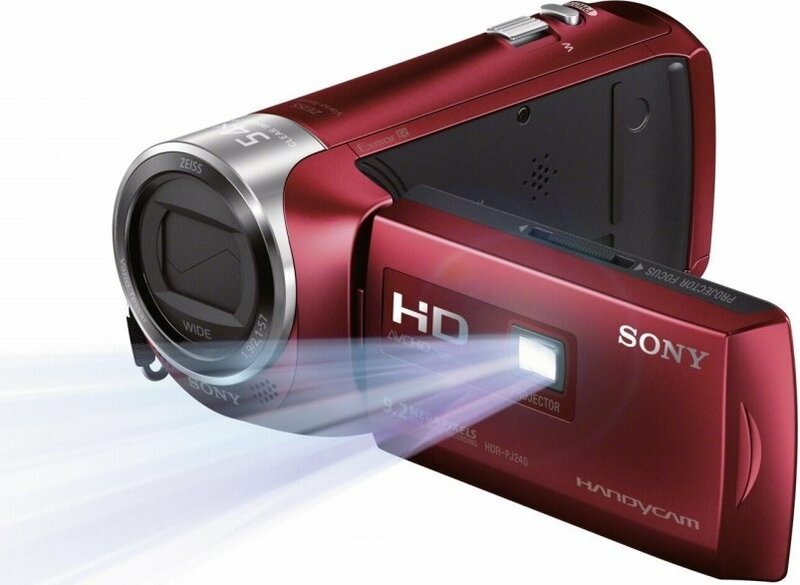 The compact and lightweight HDR-PJ240E is the perfect Handycam® for the home movies. Equipped with SteadyShot® E-Active, an Exmor R™ CMOS Sensor and and built-in projector the HDR-PJ240E makes shooting and sharing your family blockbusters a breeze.